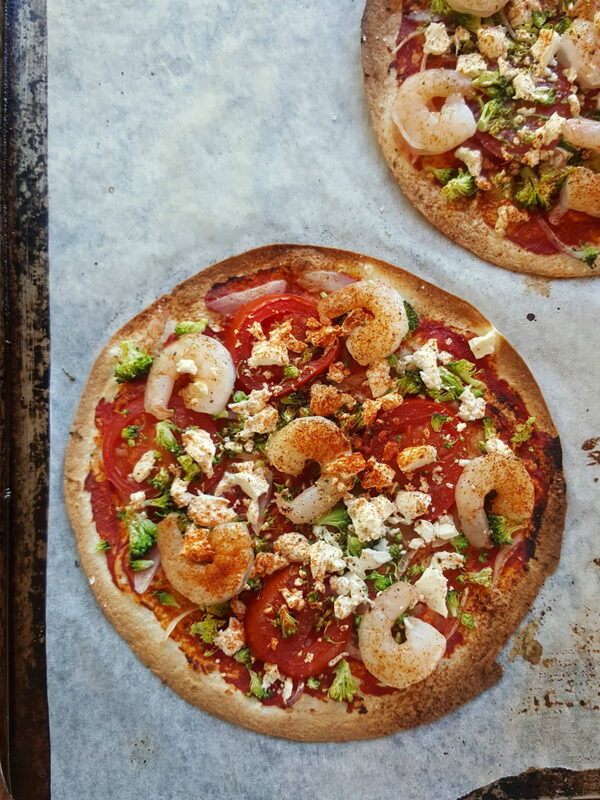 Prawn flatbread - easy to make with what you can find in your fridge! 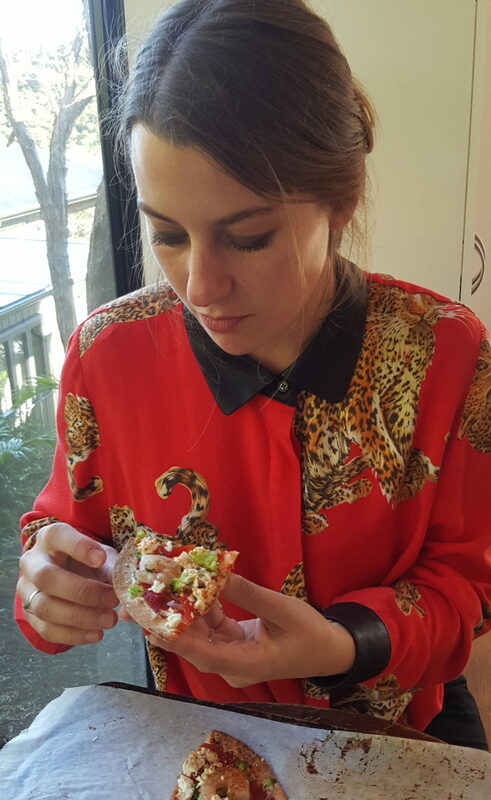 This is flatters flatbread as eaten in the 'Ham! It was a fairly gloomy Sunday and it seemed just as cold outside as in. While our homemade burgers for lunch had left us feeling replete and happy, nothing about the flat seemed to take the chill out of the air. Then a LIGHTBULB MOMENT happened. See ya later useless energy-draining heater, and good riddance to you too, mismatched holey socks. It was time to disrobe and get moving, this time in the kitchen with the oven going full bore – who knew these contraptions were so versatile! Not only do they turn cold food hot and make cheese melt, they also waft a serious amount of delicious warmth all throughout the house. Done. 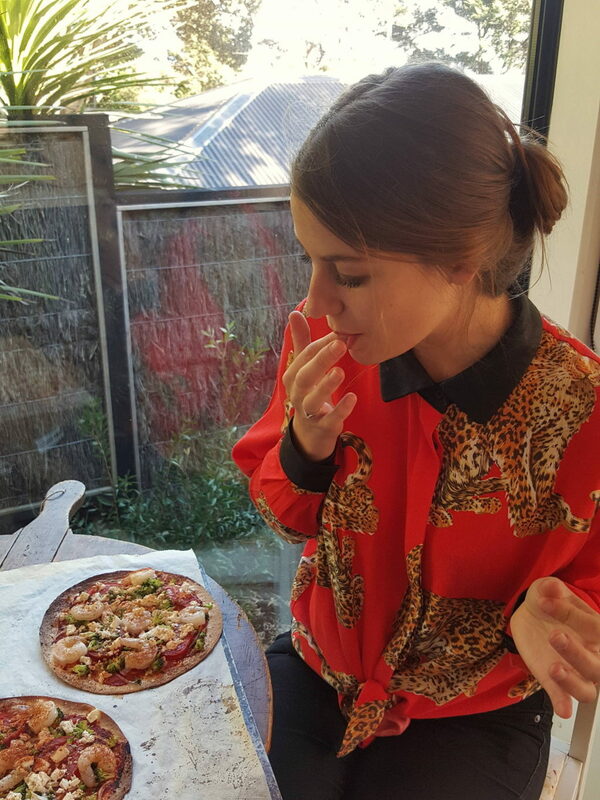 Prawn Pizzas with a side of warming sumptuousness it was. 1 Slice tomato and pat dry with paper towels. Chop the broccoli to crumbs – it’s raw, which gives a nice crunch, but you don’t want lots of big hard bits. If you prefer, you can give the prawns a quick pan-fry in a hot pan in a splash of oil, just a few minutes a side. We found feta and mozzarella too much really, but if you do want to use mozzarella, and it works okay when you have sturdier bases, drain it, pat dry and slice. 2 Put tortilla bases on a baking tray and line with baking paper if you want to save on washing up (oh yeah!). Spread tomato concentrate on tortillas. 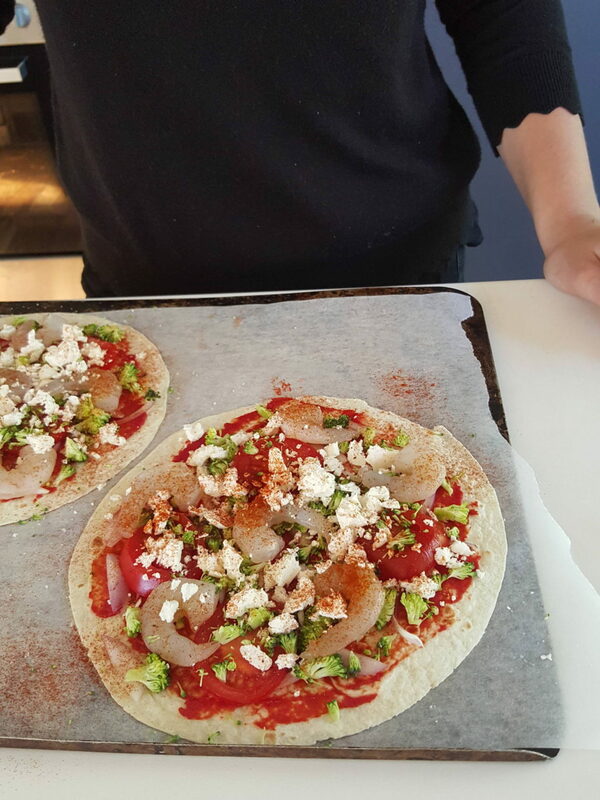 Put the topping ingredients on in this order: onion slivers, tomato slices, broccoli crumbs, feta crumbles and prawns, then season with salt and pepper and a sprinkle or two of paprika. 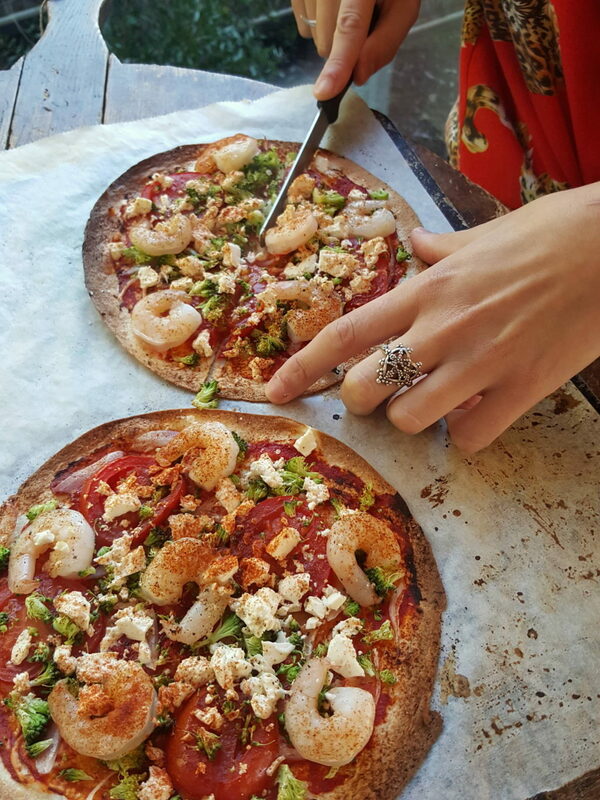 3 Have the oven preheated to 180°C and cook for about 7-10 minutes, until bases are browned, prawns are cooked and everything smells good. Serve and eat hot. 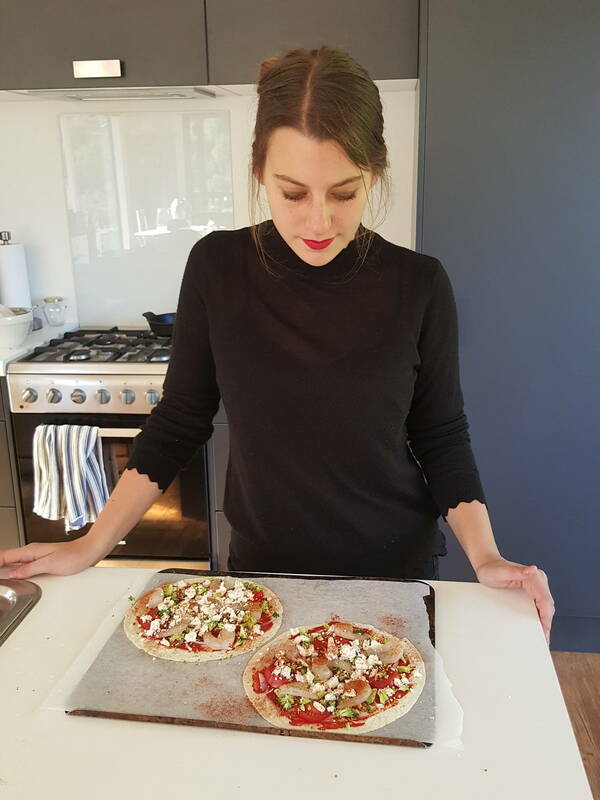 Best Flatbreads – get wrapping! Pomegranate molasses adds an intriguing sweet spicy flavour and hint of sourness that lifts this lamb filling out of the ordinary.